Sophia's List – Page 3 – All about books! In this book, we meet the Blue family. In the beginning of the book we learn that the Blue family is not a regular family when they escape from their neighbors in an unusual way. They escape to Fashion City, which is a dystopian city controlled by ‘The Fathers’. Once they settle, they quickly realize that their neighbors are the least of their worries, they now have to escape from Fashion City itself. I liked this book because of its dystopian aspects, and because I could really place myself in the story thanks to the author’s great descriptions. This book was amazing. It is technically 2 stories that intertwine at the end. One is Ben’s story which is told in text, the other is Rose’s story, told in drawings. Ben is an orphan, and he is living with his Aunt and Uncle, but when he sees his former house lit up he goes to investigate, what will he find? We see Rose, who doesn’t like her father, but we don’t see her mother, until she goes to New York to find her. I liked this story because it kept me hanging, and both the pictures and the text were very descriptive. 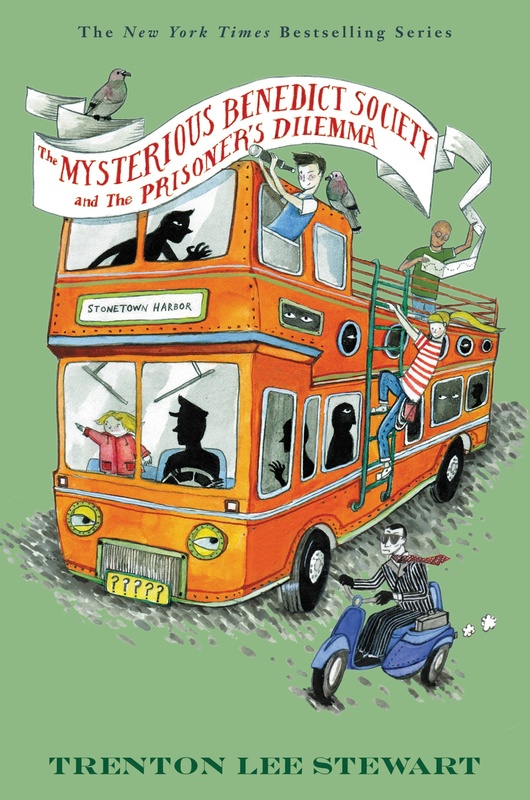 In this book, we meet Cass and Max-Ernest who are investigating the death of the magician Pietro Bergamo. When they went inside his house to look for clues, Cass found a secret journal in a hidden room. The journal leads them to the spa of the Midnight Sun, what will they find? I like this book because the author speaks to you throughout the story, he interrupts and sometimes doesn’t even want to continue the book! 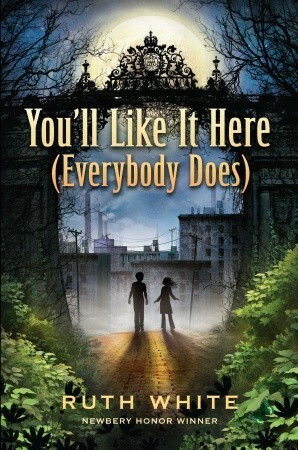 I also loved this book because it is a good adventure story and there are elements that you can relate to. In the book Katherine’s Story, Lady Katherine and her sister Lady Elizabeth travel across the sea from England to America with their father and their lady’s maid Essie Bridges. Once in America with their cousin’s family, the Vandemeers, Katherine and Elizabeth meet Ms. DuMay who is going to marry Henry Vandemeer. Everyone is excited for the wedding until suddenly the portrait of Henry’s first wife goes missing and it is found in Ms. DuMay’s son’s hands. The wedding is called off but Katherine and Elizabeth are determined to find the portrait and save the wedding. Will they succeed? The Malory Towers is a series about a girl named Darrell, she goes to boarding school at Malory Towers and is very proud of it. Each book is about her as she moves up in her forms, (there is the 1st, 2nd, 3rd, 4th, 5th, and 6th form). Along with her, there are many other girls with her who go up with her in the forms The most important ones are Sally, Gwendoline, Alicia, Bill (, and many more. Sally is Darrell’s best friend, they become friends in the 2nd book. Gwendoline is very feather-headed, she doesn’t care about anything except herself and she is very spoiled, Darrell always tries to put a little sense in her head but it doesn’t always work. Alicia is very smart and clever, she plays tricks on the teachers all the time and can still work hard. Darrell sometimes admires her but other times she doesn’t because Alicia also had a hard, jealous streak. Bill is a girl who grew up with her 7 brothers, as a result, she loves horses and is very boyish. Once, when Bill’s horse was in trouble Darrell helped Bill find help and she stayed with the horse until help came. I like this series because you see the character growing up through the books, and it is a very fun story. In this book, Reynie, Constance, Kate, and Sticky are doing an exercise called The prisoner’s Dilemma. Constance begged Mr. Benedict to use the Whisperer to find out her past, and he did. Constance then runs away to the library where Reynie, Kate, and Sticky find her. They then figure out Mr. Curtain’s codes and clues to a spot where they are captured and taken to a prison. Mr. Benedict attempts a rescue…will he succeed? This book is the 3rd book in the 5 book Mysterious Benedict Society series. The Enchantress Returns is the 2nd story in the 6 book Land of Story series. 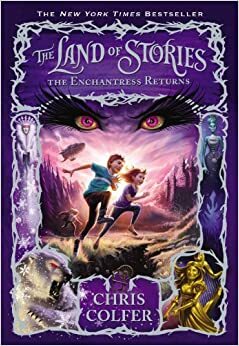 The book is about Alex and Connor, who return to the fairytale world to find that the Evil Enchantress who cursed Sleeping Beauty returned. Everyone is scared, and once the Enchantress (Ezmia) captured the Fairy Godmother’s soul, it seems like all hope is gone. Then Alex and Connor figure out a plan to save the day, will it work? I like this book because it is part of a series and the author’s style let’s you get to know the characters, which I love.